How is Scotland run during the election campaign? As the Scottish Government is now officially dissolved after entering the election period on 24 March, the end for the current parliament is in sight. So, who runs the country? 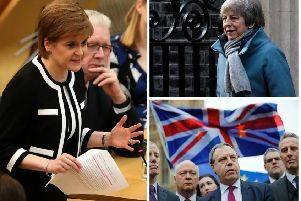 Scotland is preparing to visit the polls on 5 May, with each of the respective party leaders canvassing voters following the dissolution of the Scottish Parliament just over a week ago. During the election campaign, the impartiality of Scotland’s civil service comes under even closer scrutiny so as to ensure the fairest possible campaign for candidates and the electorate alike. While the government continues to operate during the election period, ministers are expected to refrain from instigating any new political action with a long or medium-term outlook to it and concern themselves only with critical government business. Members of the Scottish Parliament (MSPs) as well as the First Minister continue to be in power until new posts are confirmed by the Queen after the election - allowing the business of the Scottish Parliament to continue, as the leading ministers are appointed by the Crown and not Parliament. MSPs, however, cease to be Members of the Scottish Parliament during dissolution, and both they and their staff revert to having the same access rights to Holyrood as the public. As a result of their (sometimes permanent) Holyrood eviction, ministers can often be found in their constituency offices or touring the country to garner votes. Any parliamentary work that they undertake during this timeframe is strictly that of ongoing cases raised by constituents before the dissolution of parliament. It’s therefore impossible for them to hold any new surgeries during this time, and they must deal with all constituent concerns through their party office. The other large restriction is that no MSP is allowed to use the facilities or resources of the Scottish Parliament for election purposes. Dr Craig McAngus, who is Lecturer in Politics and International Relations at the University of Aberdeen, explains why these restrictions are in place. It creates a level playing field and is a key aspect of the democratic spirit. He said: “The principle behind dissolving parliament over a month before the election is to give new candidates and existing MSPs who are now no longer members of parliament an equal chance at re-election. Legislation is also affected by the electoral period, with any bills or amendments not passed before the parliament’s dissolution left to ‘fall’. The same is true of any parliamentary motions not considered before dissolution, but petitions exist in a state of limbo until the new parliament is announced in May 2016. Once parliamentary sessions resume in May, petitions will be reconsidered following the creation of policy committees. New petitions cannot be lodged or published during this time, but proposed petitions can still be submitted as part of the process. The Scotland Act (1998) states that a new Parliament has to meet within seven days of the end of the election, with the new parliament scheduled to be in session from Thursday 12 May 2016. The Class of 2016 will be a mix of returning and new political faces from May onwards, as the new government takes on the concerns and issues of the previous one.